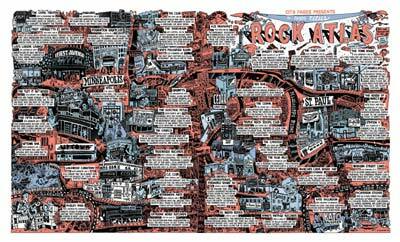 The Rock Atlas originally appeared in the 11/19/07 edition of City Pages, the Twin Cities’ big weekly alternative paper. The Atlas was written by Peter S. Scholtes and art directed by Nick Vlcek. Read more on the Big Time Attic blog here.